A new H. Upmann cigar with a Connecticut-seed wrapper promises to be bolder than the typical Connecticut cigar. Dubbed H. Upmann Grupo de Maestros Connecticut, the new brand is made at the Tabacalera de Garcia factory in La Romana, Dominican Republic. It draws its strength from the Pilotico tobacco in the filler, a proprietary varietal developed for Altadis by the Mendez family of growers. The blend consists of an Ecuadoran, Connecticut-seed wrapper, Dominican binder and filler from Nicaragua and the Dominican Republic. Packaged in 20-count boxes, H. Upmann Grupo de Maestros comes in four sizes: Robusto, measuring 5 inches by 52 ring ($8.35); Toro, 6 by 50 ($8.60); Belicoso, 6 1/8 by 52 ($8.80); and Churchill, 6 3/4 by 48 ($8.95). While the cigars are covered in a light, Connecticut-seed wrapper, each head is topped with dark maduro cap for dramatic contrast. H. Upmann Grupo de Maestros Connecticut was named after the blending team or “grupo” responsible for the many cigar brands coming out of the Tabacalera de Garcia factory. The blend was formulated by the “grupo” and Rafael Nodal, head of product capability for Tabacalera USA, Altadis U.S.A.’s parent company. According to Nodal, the new brand pays tribute to the upcoming 175th anniversary of the H. Upmann brand. 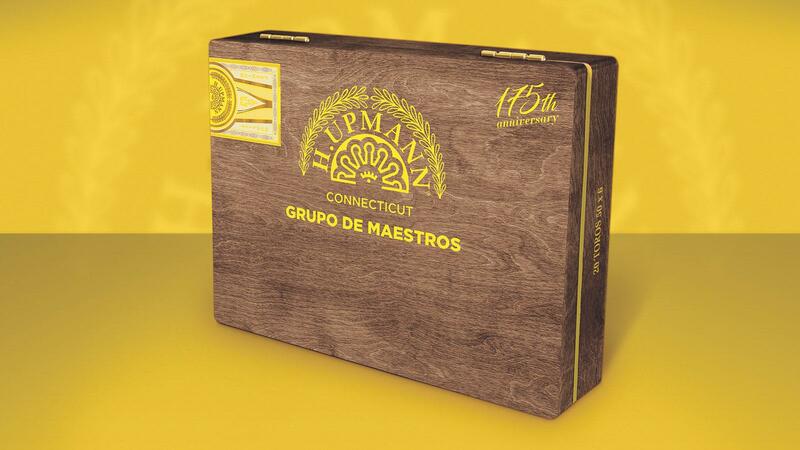 The H. Upmann Grupo de Maestros Connecticut will debut at next week’s IPCPR trade show.